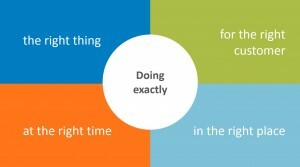 Analytics: Four key elements for success was published on SAS Voices. Analyzing social networks using Python and SAS Viya was published on SAS Voices. 3 Steps to big data success with text analytics was published on SAS Voices. Back in 2001, when I started working in the enterprise marketing software business, customer relationship management or CRM was seen as the cure all from a sales and marketing perspective. “If only we could more quickly send direct mailers offering a buy one, get one video rental, we could corner the market” one executive told me. CRM deployments at that time were costly and resource intensive. My how times have changed. But one thing hasn’t changed – there remains three critical components to consider when standing up a solid customer intelligence software solution – data, insight and action. Data meaning a centralized data repository – containing first and third-party data. Insight being intelligence derived from the use of analytics. And action being the ability to orchestrate interactions across sales, service, and marketing touch points. Recently, SAS partnered with Forbes Insights to look in depth at the first component in this trilogy – data. This report, Data Elevates the Customer Experience, looks at how data insights can be used to improve the overall customer experience with brands. 20 percent report that individuals in their organization are able to take advantage of information and derive actionable insights from data being shared across their enterprises. 14 percent of executives are able to report that their data is structured on a cross-functional, synchronized way. 45 percent of respondents claim their data is “not yet fully integrated”. 41 percent say their data is still siloed by departments. Primary challenges to greater insight around customer experience management are familiar: siloed business units (34 percent), legacy applications (33 percent) and siloed applications and processes (28 percent). The recurring message throughout the report was that a centralized and integrated data store, that contains all data sources and types, provides the most benefit to organizations. Siloes are still a huge challenge and integration is still difficult – especially when purchasers of data management, analytics, and marketing applications take a best-of-breed approach – without considering how those components work together. As Mike Flannagan of Cisco stated, “IT systems may take years to integrate, and now we’re seeing it with [Internet of Things] environments. I interpret that to mean – data and system integration has historically been difficult with backend environments – and that challenge isn't going away any time soon. Additionally, a previous Forbes Insights report found that predictive analytics and the ability to deliver real-time insights across all channels are top of mind. However, in order to deliver these capabilities sound data management and data integration have to come first. Consider a master data management solution. Organizations need the ability to manage multiple data domains, on-board source system data, match at the master data level and enable data governance – both at an analytical and operational level. Keeping data up to date, clean and relevant will drive better insight and action. Use analytics to derive insight. If your data isn’t sound, your analytics won’t be great, but if your data house is in order, then analytics will uncover intelligence about your customers that will send your customer experiences skyrocketing. Use data to inform marketing process orchestration. The better your data foundation is, the more insight you will have when setting up customer journeys and mapping them out across inbound and outbound channels and touchpoints. These are just a few ways that you can take action to improve the customer experience. I would encourage you to look to a vendor, like SAS, that provides a truly integrated marketing solution – from data to insights to action. This will make your organization more efficient and help you to avoid the issues that our friends at Forbes found. Winning the customer experience war begins in the data trenches was published on Customer Intelligence. How design thinking will re-frame IoT analytics prototyping was published on SAS Voices. How to embed advanced analytics in your biggest ideas? How to embed advanced analytics in your biggest ideas? was published on SAS Voices. 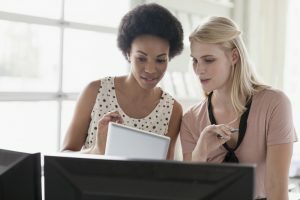 As promised a couple of weeks ago, I am very happy to share Part 2 of a webcast series highlighting how SAS participates in the space of digital analytics for data-driven marketing with applications for personalization and attribution. Before launching the video, let me set some context for what you are about to see. Why do we care about the intersection of digital analytics and personalization? Honestly, it is increasingly important to predict how customers will behave so you can personalize experiences with relevance. The deeper your understanding of customer behavior and lifestyle preferences, the more impactful personalization can be. However, digital personalization at the individual level remains elusive for most enterprises who face challenges in data management, analytics, measurement, and execution. As customer interactions spread across fragmented touch points and consumers demand seamless and relevant experiences, content-oriented marketers have been forced to re-evaluate their strategies for engagement. But the complexity, pace and volume of modern marketing easily overwhelms traditional planning and design approaches that rely on historical conventions, myopic single-channel perspectives and sequential act-and-learn iteration. The majority of technologies in use today for digital personalization have generally failed to effectively use predictive analytics to offer customers a contextualized digital experience. Most are based on simple rules-based recommendations, segmentation and targeting that are usually limited to a single customer touch point. Despite some use of predictive techniques, digital experience delivery platforms are behind in incorporating predictive analytics to contextualize experiences using 1st-, 2nd- and 3rd-party customer data. In my opinion, I believe the usage of digital data mining and predictive analytics to prioritize and inform the marketing teams on what to test, and to analytically define segment audiences prior to assigning test cells, is a massive opportunity. Marketers are very creative, and can imagine hundreds of different testing ideas – which tests do we prioritize if we cannot run them all? This is where advanced analytics can help inform our strategies in support of content optimization, as it allows the data to prioritize our strategy, and help us focus on what is important. It's confusing to distinguish among the measurement approaches available. Marketers bombard customers with extraneous content. Today's misaligned data makes customer level measurement a very difficult task. “There are few things more complicated in analytics (all analytics, big data and huge data!) than multichannel attribution modeling." The question is: Why is it challenging? SAS strongly believes three years later that we are living in a game-changing moment within digital analytics. Marketers are being enabled with approachable and self-service analytic capabilities, and this trend directly impacts our ability to improve our approaches to problems like attribution analysis. However, rules-based methods of attribution channel weighting continue to be far more popular in the industry to date, which contradicts the recent analytic approachability trend. The time has arrived for algorithmic attribution . 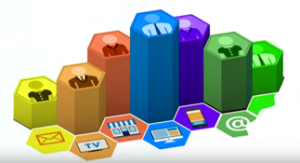 . .
SAS Customer Intelligence offers a one-stop modern marketing platform to comprehensively support the objectives of predictive personalization and algorithmic attribution - from digital data collection, management, predictive analytics, omnichannel journey orchestration, delivery across online and offline channels, and measurement. On April 19 at SAS Global Forum 2016, SAS Customer Intelligence 360 will make its debut, and subjects like digital intelligence and predictive personalization will be primary topics. This new offering will drive unprecedented innovation in customer analytics and data-driven marketing, putting predictive analytical intelligence directly in the hands of digital and integrated marketers responsible for the customer experience. If you enjoyed this article, be sure to check out my other work here. Lastly, if you would like to connect on social media, link with me on Twitter or LinkedIn. Introduction to SAS for digital personalization and attribution was published on Customer Intelligence. What is scale? was published on SAS Voices. Digital analytics primarily supports functions of customer and prospect marketing. When it comes to the goals of digital analysis, it literally mirrors the mission of modern marketing. 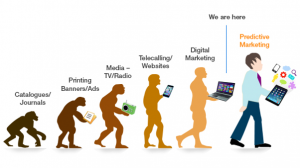 But what exactly is today's version of marketing all about? Honestly, we've been talking about this for years. And years. We ALL know it's what we should be doing and conceptually it's very simple, but practically, it has been very hard to achieve. Why? Even with great web analytics, there have always been critical missing insights, which meant we didn't know for certain what the next-best-interaction for each customer was at any point in time. In addition, the development of insights and the use of analytics to define high-propensity audience segments has been distinctly slow and batch-driven in nature, delaying relevant delivery of targeted interactions. So we may get the message right, but we probably don't deliver it in a timely, consistent way, which has a dramatic impact on customer responsiveness and marketing effectiveness. So in today's connected, always-on, highly opinionated world, we need to be a little sharper in meeting our customer's basic expectations, never mind surprising, delighting, and impressing them. While the concept of customer-centricity continues to increase in importance, improving our analytical approach to support this premise is vital. SAS recognizes today's modern marketing challenges with digital and customer analytics. It is our mission to enable marketers to benefit from approachable and actionable advanced analytics to make more powerful decisions within today’s complex and interconnected business environments. That sounds great, right? I sense some of you reading this are raising an eyebrow of suspicion at this very moment. Introduction to SAS for digital analytics and segmentation was published on Customer Intelligence. Five reasons oil and gas needs analytics more than ever was published on SAS Voices.